Here in Colorado, where Intermap is based, one of the most dramatic fires in recent memory was the Waldo Canyon fire, which engulfed some of the western suburbs of Colorado Springs in 2012. It was an intense wildfire that stormed down the front range incredibly fast and consumed almost 350 homes. However, most of those houses weren’t behind the fire-line — they were ignited by embers blown by the same winds that blew the fire down the mountains. 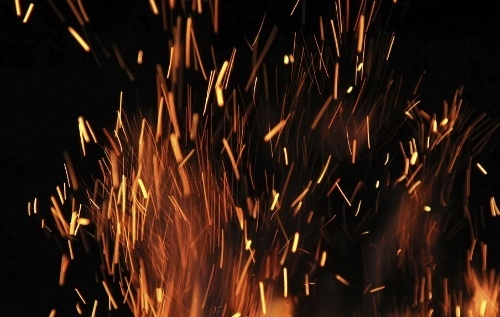 For insurers, modeling how embers will behave is arguably more important than modeling the extents of where a wildfire is likely to burn. 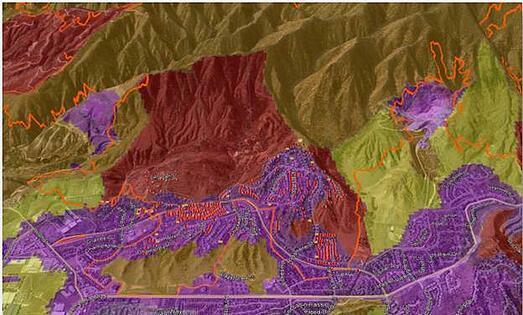 The vast majority of properties exposed to wildfire risk are in thewildland urban interface (theWUI). As its name suggests, theWUI incorporates both wilderness (spare development) and urban (concentrated development) areas. A wildfire model should definitely address both aspects of theWUI to comprehensively portray the risk of wildfire, as neglecting either the wilderness or urban aspect limits the model’s dependability. "According to CoreLogic data, of the 347 homes destroyed in the Waldo Canyon fire (Colorado Springs, 2012), 322 of them were defined as Urban, and therefore within the Low risk category. However, based on the damage, it is likely that most of these homes fell victim to wind-driven embers that traveled from higher-risk areas outside of the property boundaries." So what is a potential solution? Anchor Point’s No-HARM wildfire model takes special care to portray the risk due to flying embers by including ember zones as a component of the model. For the Waldo Canyon fire, all homes lost to the wildfire were rated at High or Very High risk of loss due to embers. The image below shows No-HARM for a part of the Waldo Canyon fire, where the purple areas are the ember zone, the burn perimeter of the fire is outlined in a red line, and the houses in red were lost (with many of them outside the burn zone). The fire-sheds in the mountains can be seen, with the fire-shed adjacent to many of the lost homes being Very High risk (dark red).